I am happy to announce that The Basic Guide to Backyard Livestock is now live and available. It contains all I’ve ever written on the subject of raising chickens, arranged in compact, well-organized, easy-to-read form, plus an introductory chapter to goats. As I’m Jewish, naturally I only deal with kosher animals and did not touch on the subject of pigs/rabbits, etc. The book is available in digital form on Kindle and Payhip, the latter at reduced price, and also in print. I do have to make a disclaimer, however, that the print book is in black and white, as adding color photographs would bump up the price quite unreasonably. I do encourage all who would like a digital copy to purchase from Payhip, as it only takes a tiny commission compared to Amazon, and pays the authors instantly. I would be infinitely grateful to all who help me spread word about the book by sharing via their blog/social media, or simply among friends who are making their first steps in the direction of raising poultry and goats. People who are interested in review copies are very welcome to contact me. 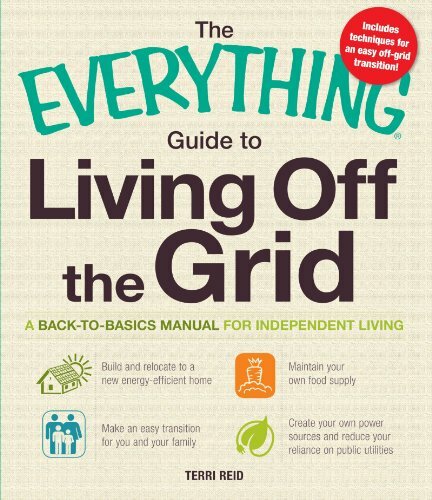 I’m now reading The Everything Guide to Living Off the Grid by Terri Reid and, though there are some sections which are obviously irrelevant to me (such as hunting, fishing and raising pigs), I have found this book a veritable treasure trove of useful information on planning a homestead, gardening, keeping livestock, getting and staying out of debt, and much more. I have read some of the reviews on this title, and while many readers complain that, rather than provide in-depth information, each chapter barely skims the surface of the subject it discusses, I don’t necessarily find this a drawback. Yes, this isn’t a comprehensive guide on gardening AND building a house AND setting up an off-grid energy system – nor could it reasonably be, unless it were ten times longer; it’s more of a read to whet your appetite to learn more about each of these subjects, and make you brainstorm about what might be the right solutions for you on your individual path to sustainable living. In that capacity, it is certainly a useful book. I would, however, recommend taking everything with a grain of salt, and cross-compare your information by also seeking out other sources, as I have spotted some obvious mistakes in the text; for example, the author states that beekeeping has been around for 150 years, while in fact it is an ancient practice dating thousands of years. All in all, I would still recommend this to anyone interested in simple living, sustainability and self-reliance, but not as an exclusive and one-in-all guide. My overall rating: 3.5 stars out of 5. The big day is here! Wild Children, my newest fiction release, is now up and available for purchase in print and on Kindle. A boy is born despite a law that states he has no right to live. His mother loves him, though he puts her entire family in danger. Circumstances force her to give up her son, but nothing can tear the love out of a mother’s heart. The book should appear to lovers of post-apocalyptic fiction, pioneer life, and survival in the wild. Also, my publisher is still looking to give away a few review copies (print+digital in the US, digital only in the rest of the world), so drop me a line through the contact form or in the comments if you are interested. 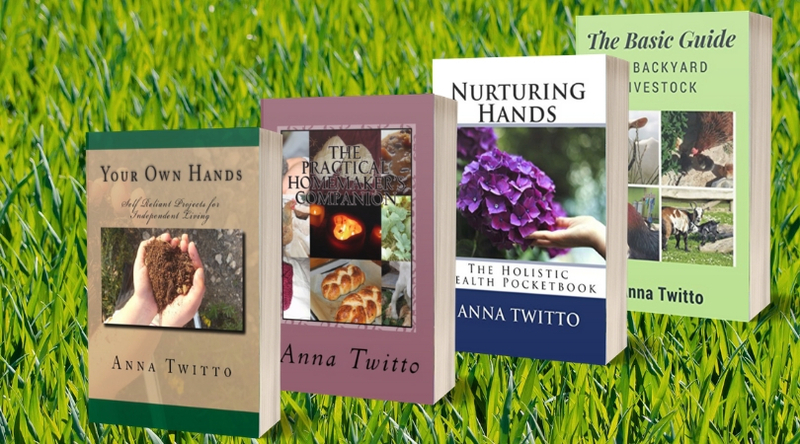 “Your Own Hands – Self-Reliant Projects for Independent Living” would be what I consider to be an absolute fantastic book for new homesteaders. The book covers a wide range of topics rather than written to cover one topic in great depth. These topics include gardening, home building and maintenance and even “artisan crafts” such as soap making! And now I had better roll up my sleeves and jump right back into the midst of Pesach cleaning. Happy spring, everyone! Wild Children now available for pre-order! I’m very excited to announce that my upcoming novel, Wild Children (to be released under my pen name, Hannah Ross) is now available for pre-order in both print and Kindle formats. Official release date is April 28-th. It has been quite a journey with this book. I was pregnant with Israel when I first began writing it, and now he’s two years old! I’ve also completed the first rough draft of the sequel and began outlining the third book, so there’s plenty to look forward to. In a post-war world, where reproduction is strictly controlled and transgressions severely punished, they are society’s rejects. Unwanted and unloved, they are raised in an orphanage until age twelve, then taken beyond the Boundary and left to fend for themselves, to survive or perish. One child was different, though he didn’t know it. He was wanted, he was loved, and he was hidden for three months. But reason prevailed. A third child meant a lifetime of concealment, a lifetime of fear and loneliness, and discovery would mean social and financial ruin for his parents and siblings, so one rainy night, his mother did what she must. As her heart broke, she walked up the path to the orphanage and surrendered him. Wild Children is a story of abandonment and survival, of hope and determination, and of a love that refused to die. For a reason I cannot quite understand, Amazon has removed genuine, legitimate and helpful customer reviews from one of my books and refused to provide any real explanation to this. 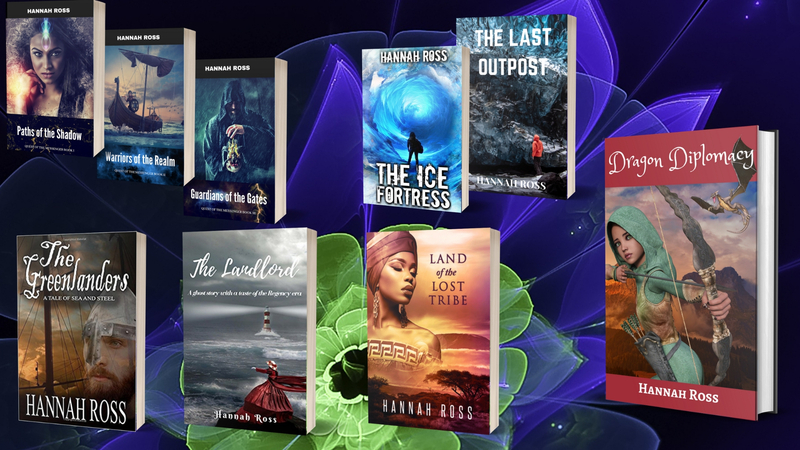 I know they are tightening their review policy to prevent paid and fake reviews, but I believe authors like me, who never use any paid promotion whatsoever and cherish every genuine review they get, don’t deserve such injustice. Given this circumstance, I’d like to encourage anyone who might want to buy my books to do so directly via Payhip (unless, of course, you prefer a paper copy, in which case Amazon remains the only option). I am currently running a 50% discount on all the books in my Payhip store. Coupon code is 6318WQ1TAM and it will be valid until the end of the month. Thank you, and you are very welcome to share this on your social media and/or blog. PS: To those who have been asking me about my next planned book, The Basic Guide to Backyard Livestock, it will take quite a bit of time yet, but I’m having a lot of fun working on it. In our previous home, we had a separate room for a home office. Such privacy is very convenient, but it is also the pitfall of the computer junkie (which, I admit, I am). I could tuck children into naps or, at a period of time when I didn’t have any children young enough to need naps, I could let them watch a movie – while I got into the office to check my emails, etc. The problem is, the “etc” only too easily turns into watching silly YouTube videos, participating in draining online discussions, making frivolous Google searches (“why does the top point of my left ear sometimes itch?”), and keeping up with the social media. The power of the click is just too alluring. Of course, there are also the good things – reading excellent helpful articles, writing letters to friends, taking care of personal projects, working on my books. However, the good things are even more dangerous, in the way of justifying an extravagant amount of time spent on them. If you watch a video of a cat playing the piano, you’ll feel guilty for wasting your time after five minutes. But knitting how-to videos are okay, right? Unfortunately, I became feeling entitled to that office time, alone behind closed doors. It was my time; I needed it. So when naps were broken, or squabbles interrupted movie time, I became unreasonably frustrated. I don’t have an exact estimate of how many hours were spent on lawful pursuits, and how many on mindless web browsing, but there is no doubt a large chunk of my time could have been better employed. In this house, I have one computer in the living room for everybody’s use, faulty internet connection and a little one that really isn’t a very good sleeper. And I’m happier than ever; this change has been the best thing that could have happened to me. It taught me to prioritize; on a good day, I might have half an hour after lunch for answering emails, browsing ads, etc, and if I’m not too tired there’s an hour or two at night when I can write, read, research information or watch a movie in peace and quiet. The thing is, when I look back on times enjoyably spent with my children – whether reading together, or taking nature walks, doing crafts, playing games, even just watching a movie together – I can’t think of one hour I would rather have spent doing something else. Even if a baby is colicky or teething, it means a night of precious snuggling with someone who needs me, just then, more than anything. I might be very tired, but I have no regrets. But when I remember my “me” time, my feelings are not so unequivocal. There are many pages I wish unread or unwritten, many videos unwatched, many games unplayed, many conversations unspoken. Not because these things were bad in themselves, but because they took away from the truly important things I should have been doing. You will probably never regret spending time with your children. The same cannot be said of other things, be it personal projects, volunteering, hobbies or social commitments. I keep that in mind every day, and it makes all the difference. Speaking on another matter, I’m very excited to tell that my upcoming novel, Wild Children, is now on Kindle Scout – which is essentially an Amazon-based contest the winners of which get their book signed up and promoted by Amazon. You can read the book description and first chapter and, if you feel it deserves to be supported , nominate it on its Kindle Scout Page.